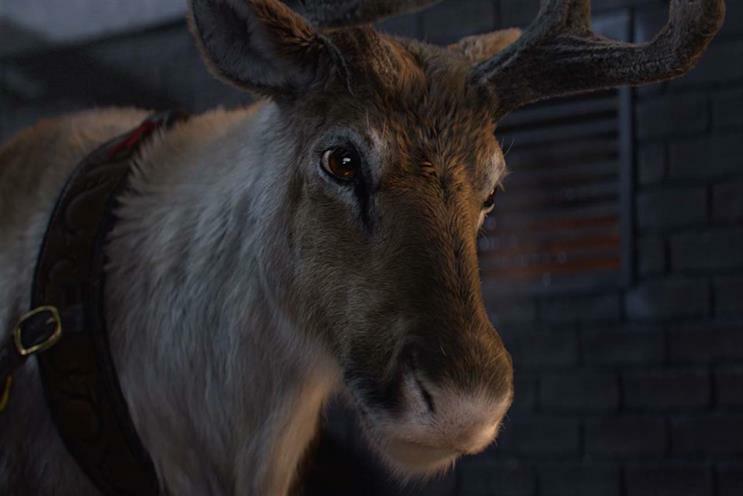 Fast-food restaurant chain expands on last year's "Reindeer ready" campaign with a new spot featuring hungry reindeers. McDonald's has kicked off its Christmas campaign, which tells the story of Father Christmas and his reindeer as they go door to door on Christmas Eve. The 90-second spot, created by Leo Burnett, launches today (18 November). It continues last year's #ReindeerReady theme. While visiting each house, Father Christmas keeps himself going with a steady supply of mince pies, but his reindeers are left without any treats. He then makes a quick stop at a McDonald’s, picking up bags of McDonald’s "reindeer treats" – carrot bags – to refuel his reindeers. "Reindeer treats" will be sold in restaurants throughout the country over the Christmas period, alongside a festive menu. A dedicated website will give consumers the chance to win McDonald’s festive merchandise and decorations, as well as download an animated Christmas e-book. Ben Fox, marketing director at McDonald’s, said: "Our new 'Reindeer ready' campaign aims to remind customers that we are there when they need us at this time of year – from a Christmas shopping coffee break to a pre-party burger or even a mid-present delivery carrot stop. From TV to out-of-home, social to in-store, we will make sure there is a little reindeer magic for everyone this Christmas." The spot was created by Andrew Long and James Millers, and directed by James Rouse through Outsider. As part of the campaign, McDonald’s has created a Snapchat filter through which users can turn their face into reindeer. In a Christmas game on the same social platform, users can try to catch falling carrots. McDonald’s is also bringing back its augmented-reality app, Reindeer Ready Live, which allows users to make films that appear to show reindeers are visiting their front rooms.